Back in 1912, when the RMS Titanic sank beneath the frigid waters of the North Atlanta, the world was in a huge state of shock. The Titanic had made headlines because it was considered the biggest ship in the world, and it had been dubbed unsinkable by the world press. 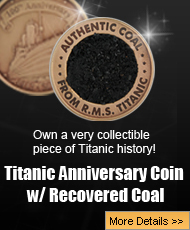 While on its fourth day out at sea, the Titanic sailed into iceberg infested waters, and without taking the warnings seriously, the ship side swiped an iceberg. Over the course of the night two hours and forty minutes, the water slowly came into the ship, and the passengers began filling up the 20 lifeboats. Despite the fact the ship was sinking, not everyone believed it, and the first lifeboats were launched with barely anyone in them. By the time the ship sank, there were only 705 people in the lifeboats, and one of them was a man named Alfons Simonius-Blumer, who wrote a letter that went up for auction about his time on the RMS Titanic. Alfons Simonius-Blumer was born on October 23, 1855 in Basel Switzerland. When he reached the right age to enlist, he joined the Swiss Army where he achieved the high rank of Colonel. 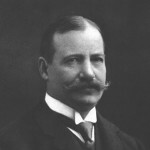 Once he was out of the service, he moved on into the world of finance, and became the president of the Swiss Bankverein in 1906. The Swiss Bankverein would change the name to the Swiss Bank Corporation in 1917. Simonius-Blumer was traveling with his wife, Alice, and decided to head to America, with friend and lawyer, Max Frolicher-Stehli, to check on holdings that belonged to Swiss Bankverein, and that was Heine & Co, located in New York City. On the night of April 14, 1912, Alfons Simonius-Blumer, Max Frolicjer-Stehli, and another friend named Max Staehelin-Maeglin, were all enjoying the many activities there were to enjoy about the Titanic. The three men were in the First Class Smoking Room, which was for men only, enjoying the cigars and brandy that were supplied by the ship. Finally, around 11 o’clock at night, the three men had had their fun, and decided it was time to go to bed. By the time Alfons Simonius-Blumer returned to his cabin, which was A-26, it was 11:30, and in 10 more minutes, the Titanic struck an iceberg and began to sink. With all that was going on, Simonius-Blumer did not even get the chance to go to bed. By midnight, the colonel and his wife, were on deck, and the three men plus one woman, got into lifeboat number 3. Several hours later, the RMS Carpathia showed up to the scene of Titanic’s sinking, and the four people were taken onto the rescue ship, and eventually did make it to New York City. Alfons Simonius-Blumer wrote a letter while the Titanic was leaving France and heading for Ireland, which was April 11, 1912. Simonius-Blumer had nothing but praise for the ship, saying “Although the wind is blowing strongly, the ship is not heeling over one bit, and I certainly think that not even you would get seasick because everywhere the air is excellent. Here in the smoking room you can feel the propellers working, while in my cabin it is as quiet as in my room at home.” The words that Alfons Sumonius-Blumer wrote on that fateful day, really take the reader into what it was like on board the doomed liner, and just his descriptions alone really are a snapshot of what it was like on the Titanic a few days before she sank into the sea. 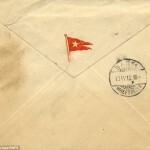 The letter was still in its original envelope, and is expected to fetch at least $30,000 dollars when it is auctioned off. Alfons Simonius-Blumer was only 56 years old when he died of heart failure in 1920. However, he will forever be known as the man who penned an amazing letter while on board the most famous ship in the world, the RMS Titanic. 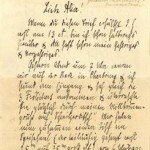 The letter, which is heading for an auction, was written to Simonius-Blumer’s family, and was found still in its original envelope. 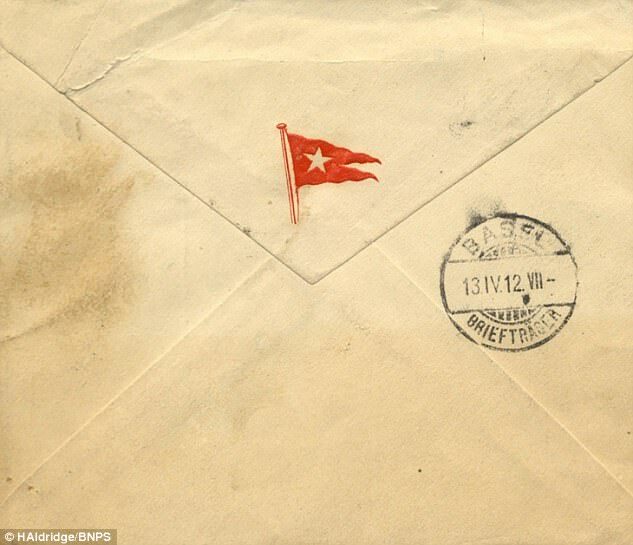 The contents of the letter describe what it was like to be on the Titanic, and former colonel Simonius-Blumer, had a lot of really positive things to say about how the ship sailed, and all the cool amenities it had. Simonius-Blumer was on board the ship with his wife, and a lawyer friend, who were heading to New York City. Simonius-Blumer was a former colonel in the Swiss army turned banker, and he was heading to the Big Apple to check on holdings that his bank owned. The Titanic strukc the iceberg at 11:40 at night, which was only 10 minutes after Simonius-Blumer, plus his friend, had stopped playing cards in the First Class Smoking Room, and had gone to their First Class suite. They were all able to climb on board lifeboat number 3, which began loading passengers at a little after midnight. 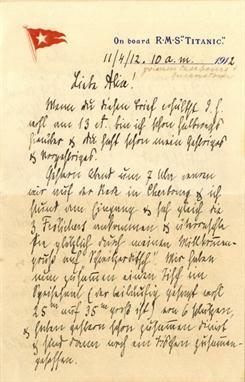 The letter Alfons Simonius-Blumer penned on April 11, 1912, will forever preserve the man himself, and whomever buys it will forever own a piece of history. Rest In Peace, Alfons Simonius-Blumer.